Please note that this is a post about technology, not politics. The tech industry cheerleads the displacement and reconfiguration of huge institutions like the music industry and telecoms. The arms industry shares many of the attributes of those industries, and is poised for fundamental change that is much like the changes they have experienced. If the product of the arms industry were not arms, the inevitable upheaval would be anticipated and prophesied with glee by the usual pundits (this website included). It’s not, because the general availability of weapons is not something we as a community can agree on as an unmitigated good. For that matter, even free speech and assembly are by no means goals universally agreed upon. But advances in technology are providing all of these things, regardless of the preferences of any one group. What is a gun? A barrel is not a gun, nor is a stock, or a sight, or a trigger. But at some point you put these and a few other objects together and you have a gun. As it turns out, strictly speaking, the receiver is how such things end up being defined in this country, at least as a rule of thumb. Buying, selling, and creating the receiver, into which a cartridge passes from the magazine and is prepared for discharge, is buying, selling, and creating a gun. You may have read that there is already a 3D model of an AR receiver that can be printed, combined with other parts, and turned into a working firearm. The most recent news on that front was such a gun failing after firing just six rounds, leading to no small amount of derision online regarding the possibility of printed guns. This allows people to ignore the issue, since if they aren’t making real guns, it’s not a real problem. In fact, some reading this probably consider the issue a little silly. This skepticism is misplaced for two reasons. First, the problem is strictly technical, and the team that made the gun was already analyzing and correcting for the problem by the end of the day. If they had a high-quality printer, they could have the improved part overnight, which is a capability that is changing other industries as well. Second, the problem is not a problem. They created a working firearm. In World War II, the U.S. manufactured one million FP-45 Liberator handguns. 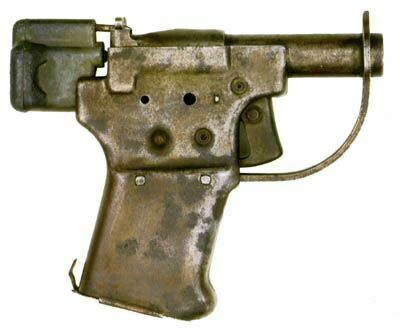 These crude, single-shot pistols were designed to be dropped from the air by the thousand over occupied territory, to give the resistance there the advantage of a firearm, be it only for one shot. The fundamental difference was not between six shots and a hundred shots, but between zero shots and any shots at all. Of course printed guns don’t and won’t constitute the major part of the ideas in such a major and divisive debate as gun control. But that does not obviate the fact that we can print guns. We can do so today, and the ability to do so is only improving. It is very important to note that one need not take a side in the debate to acknowledge this. And it is very important that we acknowledge this now, so that we are not forced to acknowledge it later, when it will be too late to take either side. If you were to attempt to write a law governing media copyright in 1998, would you attempt to do so without acknowledging the existence of the Internet and compression methods like MPEG-1? Any law crafted under such restrictions would be laughably incomplete. Likewise, if you were to discuss a law that allows or restricts the creation and distribution of firearms, would you attempt to do so without acknowledging the existence of 3D-printed weapons and the ability to transfer blueprints for them online? Here’s the problem, though. Like the digitization of music, the digitization of objects, guns or otherwise, is a one-way street. Every step forward is ineffaceable. Once you can make an MP3 and share it online, that’s it, there’s no going back — the industry is changed, just like that. Why should it be different when you reduce a spoon, a replacement part, a patented tool, or a gun to a compact file that can be reproduced using widely-available hardware? There’s no going back. So what is “control” now? Will ISPs use deep packet inspection to watch for gun files being traded? Will torrent sites hosting firearm files be taken down, their server rooms raided? Will all the ineffectual tactics of digital suppression be tried again, and fail again? Will 3D printers refuse to print parts, the way 2D ones are supposed to refuse to print bills? Will printers have to register their devices, even when those devices can print themselves? How is it proposed that control is to be established over something that can be transferred in an instant to another country, and made with devices that will soon be as common as microwaves? This isn’t “the singularity is near” wishful thinking. We can print working guns right now. They fire bullets. 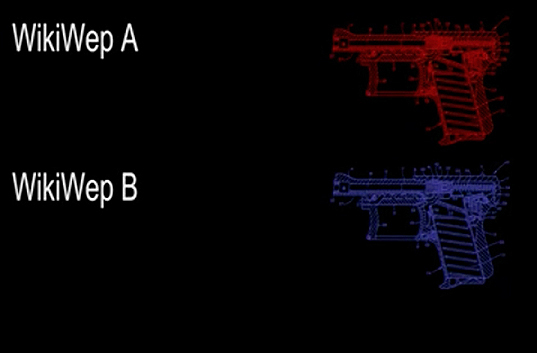 The guns themselves are being improved, and the tools to create them are multiplying. The scale is small, but every defining technology starts as a niche. This also isn’t “the sky is falling” alarmism. We have had to come to grips with other transformative technologies, destructive and constructive. The telegraph, the atomic bomb, the computer. We can deal with this development, and that’s good because we are going to have to one way or the other. Lastly, this isn’t about taking sides, politically or culturally. This is only about looking at all the facts, not just the convenient ones. And while with other industries it may be accepted, even justifiable, to simply let events play out and reap the benefits meanwhile (as with the implosion of the music publishing industry), the same cannot be said about an industry that concerns not our entertainment or our means of expression, but rather (regardless of what side you take) our safety and security.